They say bread is life – and we agree. In fact, baked goods in general seem to be a key to making life sweeter. And in order to keep the happiness coming, you'll want to have the right tools at your side. All of the products in the Victorinox Bread and Baking line feel great in the hand, look great in your kitchen and get the job done every time. Their ergonomic handles offer comfort and grip; and their build quality ensure that you'll enjoy them for a lifetime. 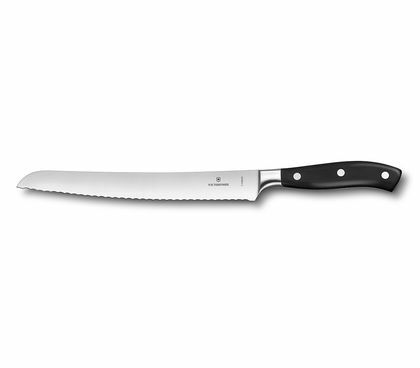 Learn why our knives are such an enjoyment in the kitchen. 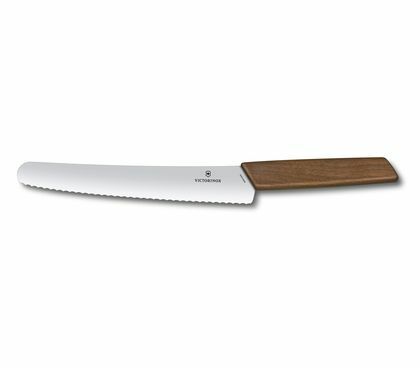 What does Victorinox’ smithery have in common with the highest level of culinary art? Both constantly refine proven techniques and traditional recipes. And both strive for perfection. Chefs look for absolute harmony when it comes to taste and consistency. 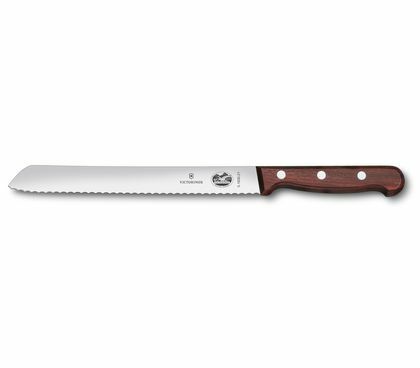 So for our kitchen knives, we at Victorinox look for ideal ergonomics, extreme durability and, of course, the perfect cut. And just like a delicious dish, really good bread knives and pastry knives are simply a wonderful pleasure. 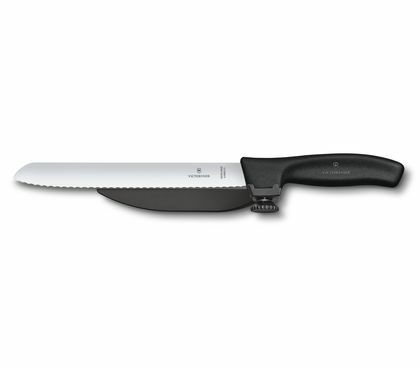 Universal knives: Victorinox bread knives and pastry knives are generalists with a lot of tenacity. 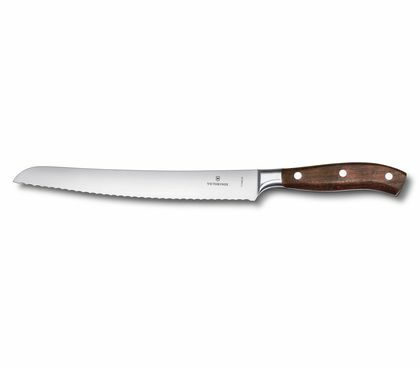 Whether it is the rich crust of crispy-baked bread or delightful smelling roast, creamy tart and crunchy pastries or thick fruit and vegetables such as melon and pumpkin: Our strong blades "crack" the hard shell and work effortlessly through any resistance. 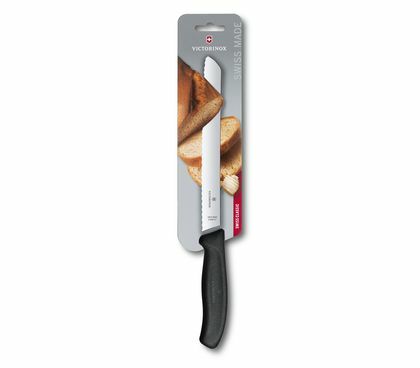 Optimal application of force: Our bread knives with their finely serrated blade allow for non-slip cutting through crispy crust and the soft crumb under it. Thanks to this, unnecessary pressure is avoided; the fine-pored inside remains intact, and even very thin slices can be cut off the loaf with precision. 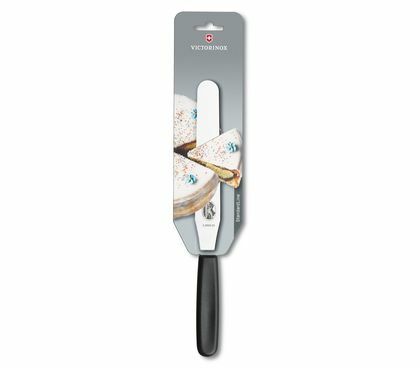 Multi-purpose application: Pastry knives with their long, rounded blades are ideal for slicing cakes and pastries and for spreading and smoothing icing. 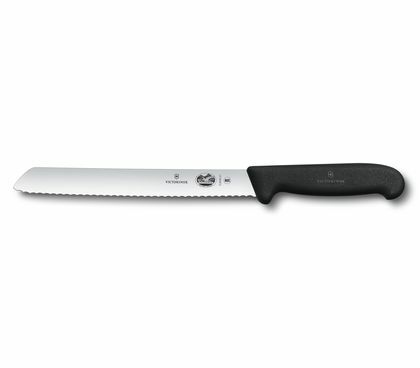 The saw provides clean, non-stick cuts through any type of pastry, from shortcrust to sponge cake. 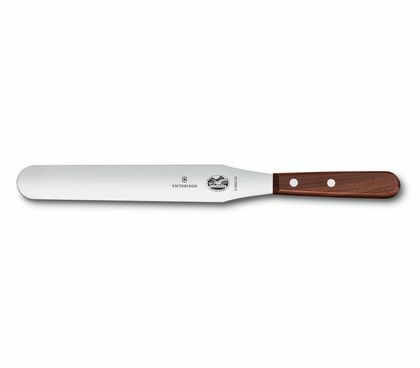 The knives can easily replace a spatula; however, real baking professionals swear by both. 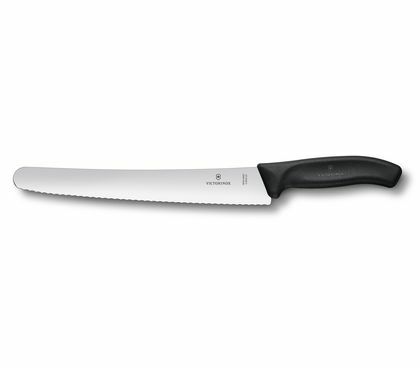 If you don’t have either of them at hand, you can also use a bread knife. 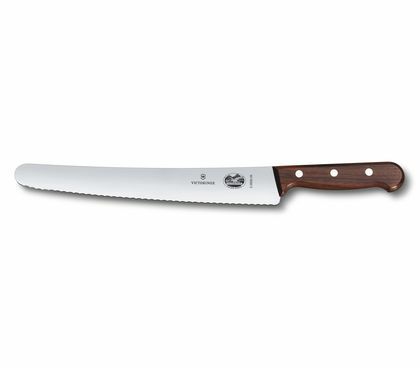 Guaranteed longevity: Whether made of durable plastic, with a classic black hard shell or classy Rosewood—the preferred handle design is purely a matter of taste and type preference. Victorinox bread knives and pastry knives are all carefully finished, robust and durable. They are made for you to enjoy for many years to come.